Scheduled & Preventative Maintenance: let us take action to prevent lighting issues before they happen. Group Relamping Services: take your existing lighting and make it look even better. Fixture Replacement, Addition, and Relocation: make sure all areas are lighted properly and efficiently. Parking Lot Lighting: keep your patrons safe and storefront noticeable with top-quality parking lot lights. Exterior Building Lighting: lighting where you need it to keep your store and signage noticeable and safe. Lighting Upgrades & Retro Fits: replace your old, power-hungry lighting to save power and money. 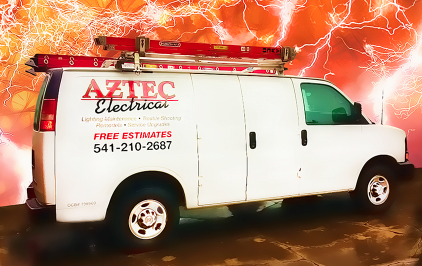 Emergency Lighting Service: bring back lost lighting quickly, easily, and with just one call.